NEW YORK, NY / ACCESSWIRE / September 12, 2018 / TTI Technologies, best known for their reliable and secure managed Business Center Kiosks for hospitality is proud to announce an agreement with Marriott International to be an approved supplier of Business Center software and security applications and commercial grade hardware components. Mike Siegel, Vice President of Operations at Huntington Hotel Group remarked "We have partnered with TTI for many years; they have always been there managing and supporting our computer systems and have exceeded our expectations. We are delighted that TTI has proven to Marriott International through the testing of their platform that they are now an approved source." 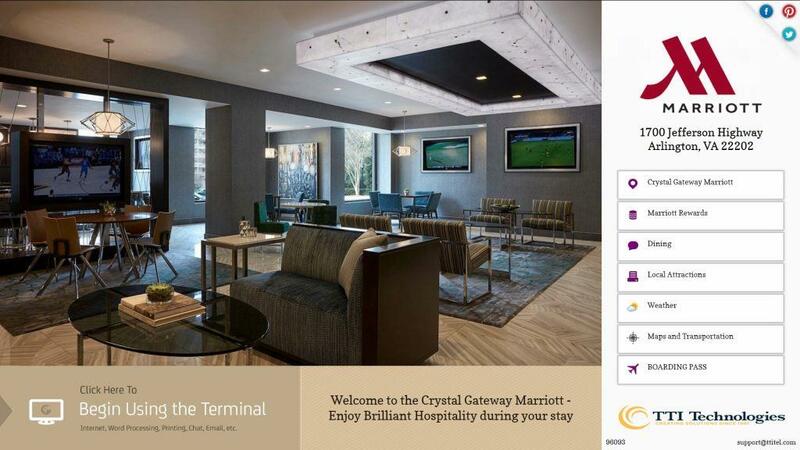 Ryan Lee, Senior Vice President of Operations at Baywood Hotels stated "We beta tested TTI's Business Center solutions in several of our Marriott Branded Properties and the results were excellent. This endorsement is a win for all of us, as we now can utilize TTI's services throughout our entire portfolio of properties." Steve Blidner CEO of TTI, remarked "We have rigorously tested and proven our reliability to earn this valued relationship. Reliance on a stable hotel business center system from a trusted tech provider with 24/7 support is critical. Great customer service is one of the reasons for our continued growth and success. We understand that if guests are happy with our solutions the hotel management will be too, that is where our focus is," says Blidner. TTI Technologies International has been delivering innovative solutions since 1991, serving hotels, resorts, government agencies, nightclubs, and other venues all over the globe. TTI's solutions include Business Centers and Boarding Pass Stations, Flight Information Systems with Interactive Displays; and ID/Passport Scanners., ID Verification, and Lobby Tablets. With an international headquarters in New York City and satellite offices across the United States, Mexico City, Europe and Mumbai, TTI is well equipped to anticipate and deliver exceptional service. For more information, visit us www.ttitel.com or contact us at [email protected] / +1-646-218-2700 Extension 3.